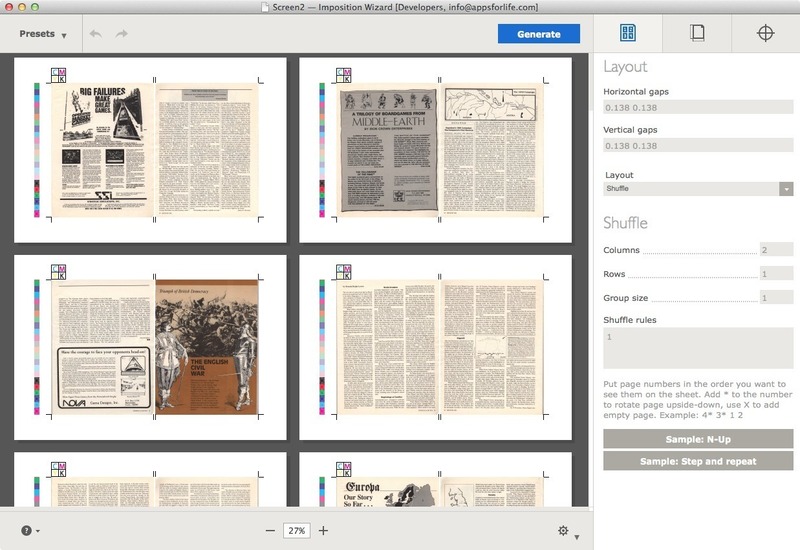 Is there a better alternative to Imposition Wizard for Adobe Acrobat? 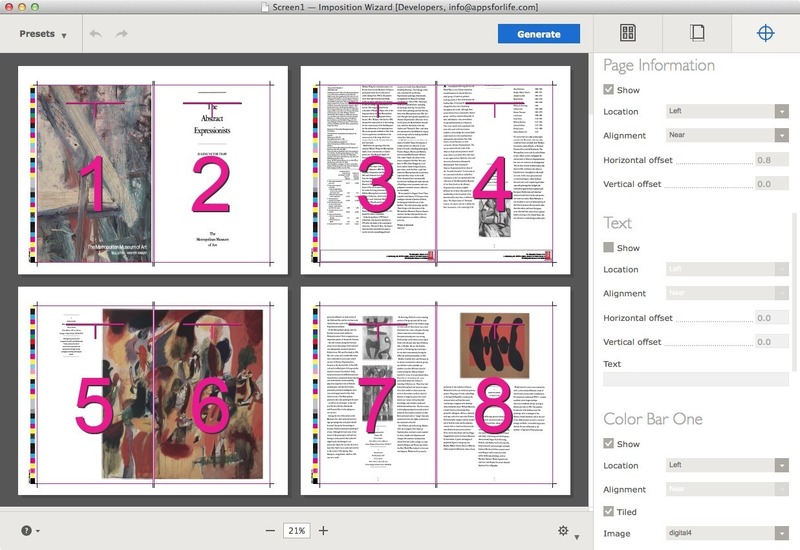 Is Imposition Wizard for Adobe Acrobat really the best app in Desktop Publishing category? 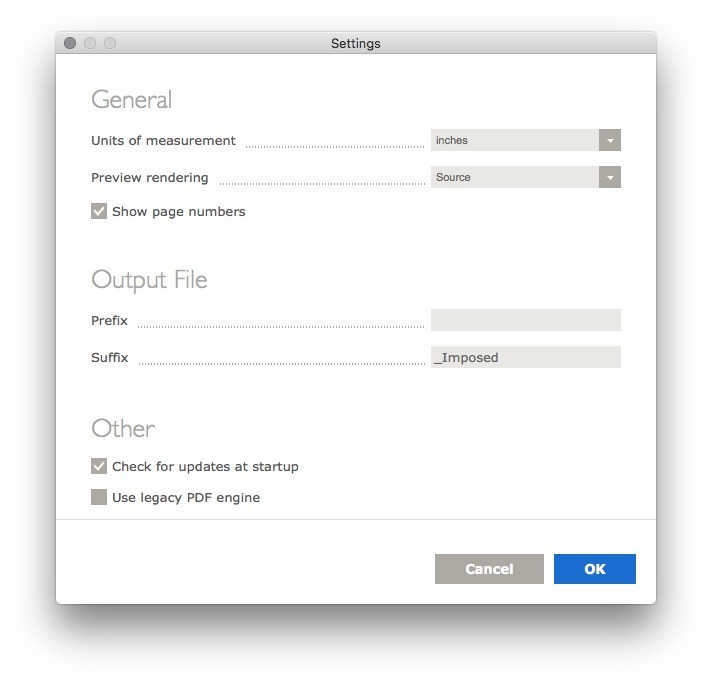 Will Imposition Wizard for Adobe Acrobat work good on macOS 10.13.4? Note: The featured price is for a perpetual license; Imposition Wizard for Adobe Acrobat is also available on a monthly subscription basis. Acrobat DC - Adobe released the updated version of Acrobat a month ago, but the SDK was released a month later. That SDK was essential to make Imposition Wizard support the latest Acrobat, so we had to wait. Now, as Adobe has released everything we need, here is the updated Imposition Wizard for Acrobat that supports Acrobat DC. Imposition Wizard for Adobe Acrobat needs a review. Be the first to review this app and get the discussion started! Imposition Wizard for Adobe Acrobat needs a rating. Be the first to rate this app and get the discussion started! Imposition Wizard for Adobe Acrobat is created with simplicity in mind. Like its standalone OS X predecessor, Imposition Wizard features dead simple user interface which allows you to focus on your main tasks and not mess with endless settings. Realtime preview allows you to see the document exactly as it will be printed. Backed with powerful Adobe Acrobat PDF engine, Imposition Wizard guarantees 100% perfect results. 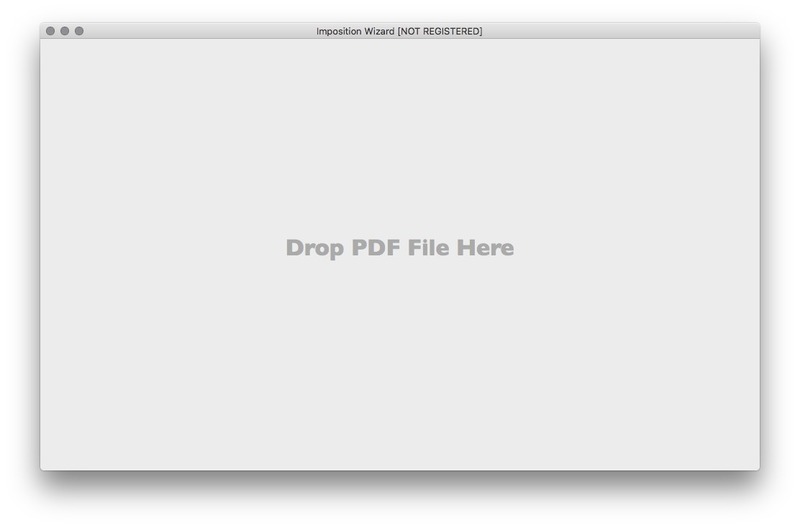 Imposition Wizard combines easy user interface with powerful PDF imposition engine. See the list of supported features at the right for more reasons to give it a try. Amazing User Interface - One of the killer features of Imposition Wizard for Acrobat is its modern and lightweight user interface. It will take you a few minutes to get used to it and you will never want to use old-style imposition applications again. Handy Imposition Presets - Imposition Wizard for Acrobat features presets manager which keeps all your layouts for further usage. Setup the imposition layout once, save it then use it again and again. Get job done in a few clicks! Cut Stack improvements - Cut Stack layout has been improved in both apps. We have added a "Pages flow" parameter that allows you to configure the way pages run through the stack of sheets. By changing this option you can even make N-Up layout out of a Cut Stack one! That's a very powerful option. Output sheets order - Acrobat version got an option to reverse the sheets order, or group fronts and backs separately. 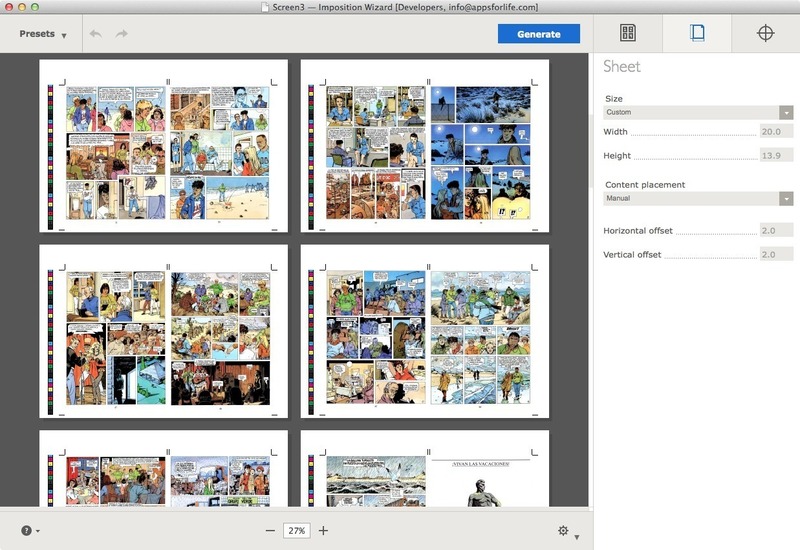 This feature was in the Standalone edition for a while, now it is added to the Acrobat version, as well. Added support for the negative content offset to the Acrobat edition.